Naomi Danis is the managing editor of Lilith magazine, independent Jewish & frankly feminist. She is the author of Walk With Me, illustrated by Jacqueline Rogers (Scholastic/Cartwheel, 1995); Splish-Splash, illustrated by Elliot Kreloff (BeginSmart, 2008), It’s Tot Shabbat, with photos by Tod Cohen (KarBen, 2011), I Hate Everyone, illustrated by Cinta Arribas (Pow!Kids Books,2018), and While Grandpa Naps illustratied by Junghwa Park (Pow! Kids Books, April 2019). She holds a BA and MA in English from Stony Brook University, and an MS in Education from Bank Street College. She lives in Forest Hills, New York. Grandpa coms to visit on Sunday. He brings salami, rye bread, mustard and pickles for the whole family. I can smell the salami when I give him a hug. Grandpa used to come together with Grandma Sarah, but she died, so now he comes alone. Sometimes Grandpa is sad. Sometimes Mom is sad. And sometimes so am I. Did you ever wish everyone would go away and leave you alone, and then, change your mind? 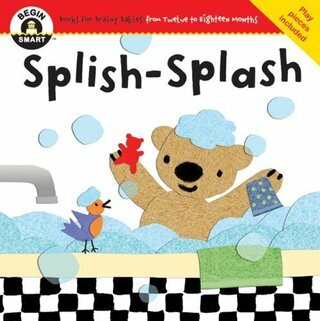 A teddy bear goes through a bath and bedtime ritual: getting soaped, sudsed, washed, rinsed, toweled dry, and tucked in. A toddler enjoys the sights and sensations on a walk to the park. in another room the children play. This is my Shabbat club. A young child goes to synagogue and has an opportunity to play with other children. Some of the children's activities, such as hearing--and acting out-- a story from the Torah, and saying a blessing before eating a snack, are similar to what the grown-ups do.